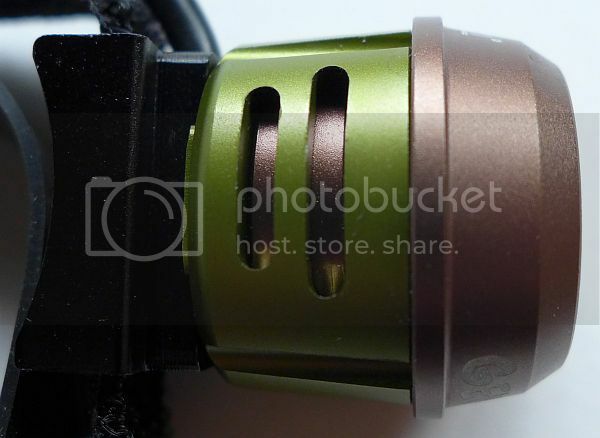 Форум FONAREVKA.RU Обзоры и тесты фонарей Flashlights. Reviews and tests. 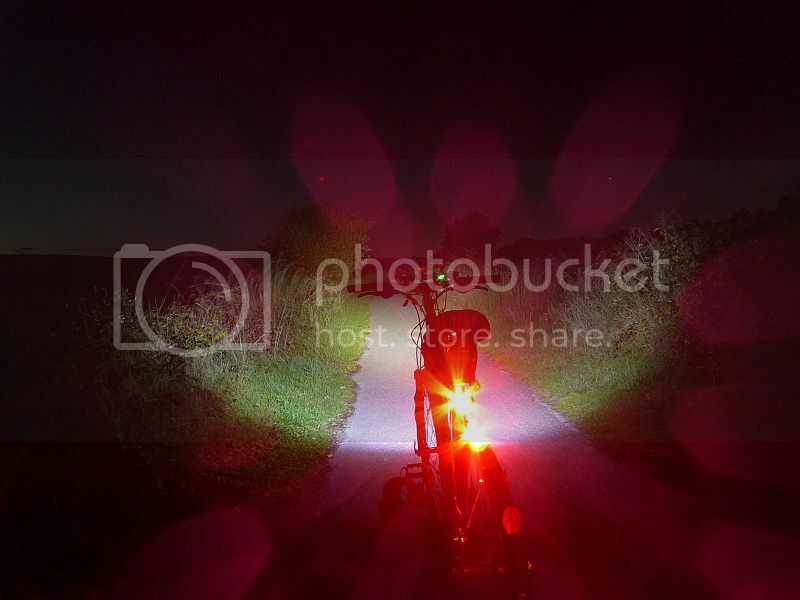 Bike Lights. Reviews and tests. 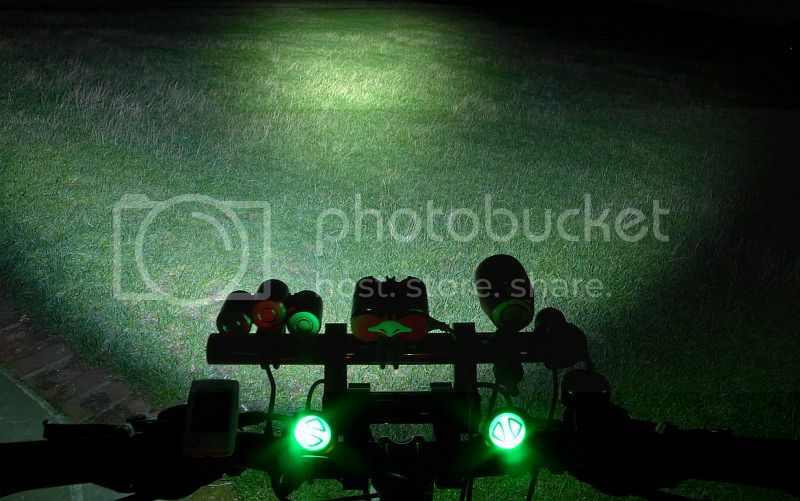 Xeccon have been working hard to improve on earlier cycle light designs and give the rider more features and performance. Xeccon does listen to the feedback from its customers and includes design updates based on this feedback. Previously I have taken a look at the Xeccon Spiker 1206, Spiker 1207, S14 and S12. From the S12 to the Spiker models, there has been a clear progression in sophistication in these lights, and the Geinea models are yet again moving forward. The Geinea I arrives in a nice solid two-tone box. 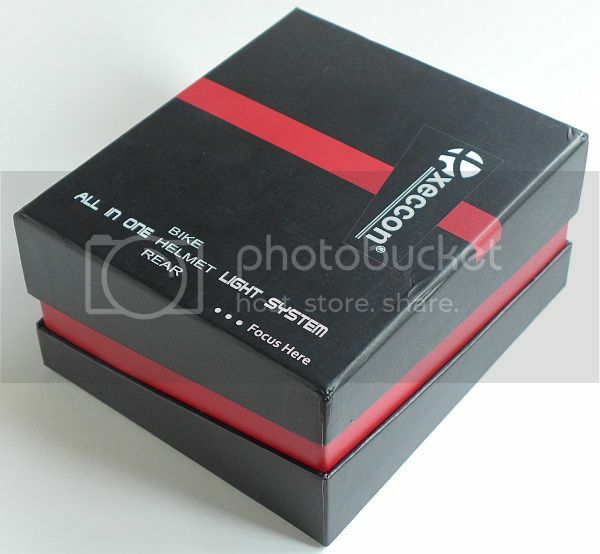 The contents are neatly packed and organised in three sections. 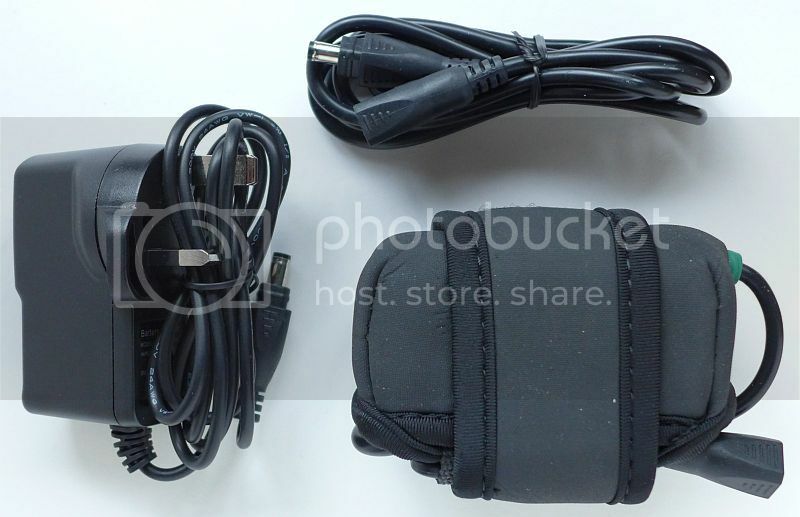 Grouping the power components together there is the charger, extension cable and battery pack in its neoprene mounting pouch. 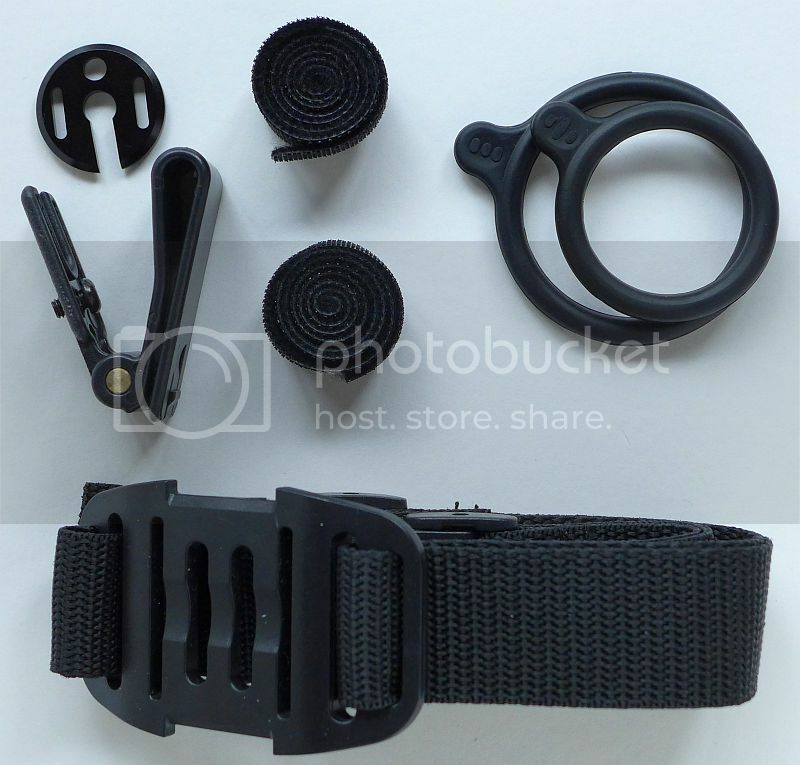 The additional mounting options components, a headband strap, headband mount/clip, cable tidy straps and o-rings. The light wiring loom comes fully connected with the front and rear lights, switch/driver and battery connections all marked. 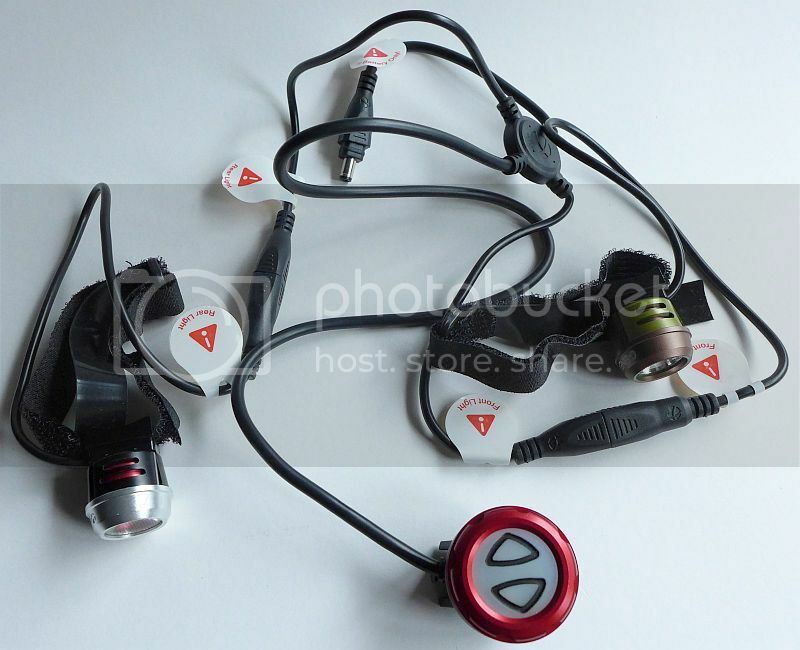 The handlebar mount switch is bigger than the lights themselves and has two switches for front and rear. 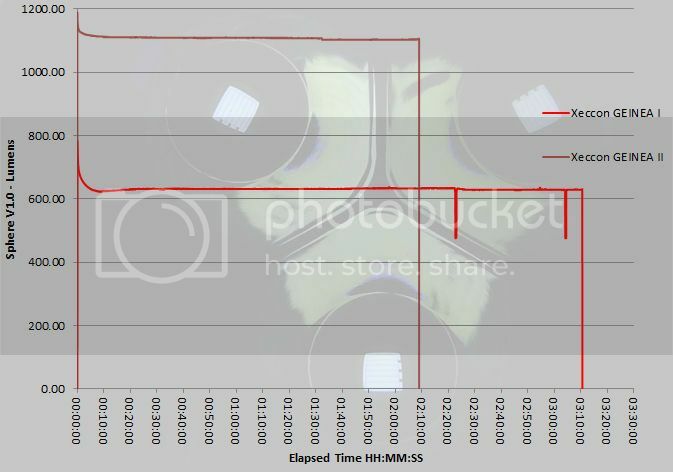 The design seems to incorporate heat-sink fins, and during the runtime test it became apparent that the driver circuit contained in the switch, does itself need cooling as the switch unit became very hot. 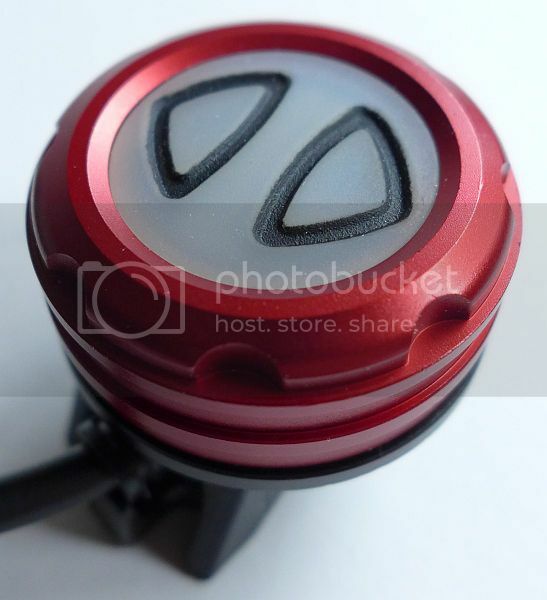 The light heads are tiny, being roughly the same diameter as standard handlebars. A very low profile light. The light head really is incredibly compact. The white light has an XM-L LED and a textured (orange peel) reflector. 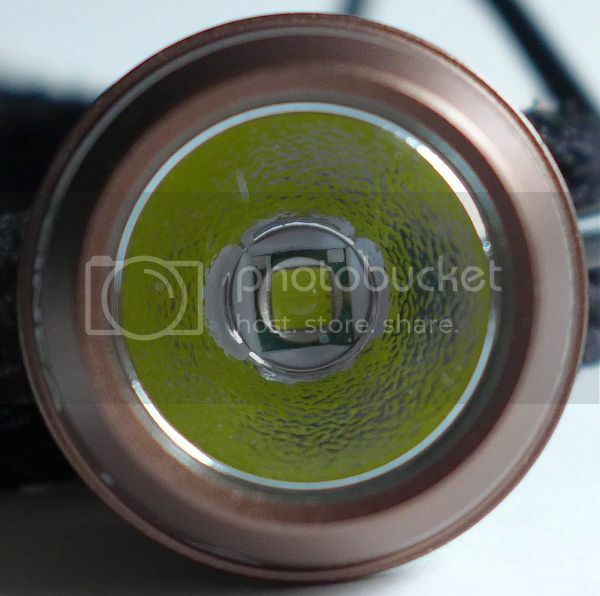 The rear red light is the same size but has a very different looking lens. 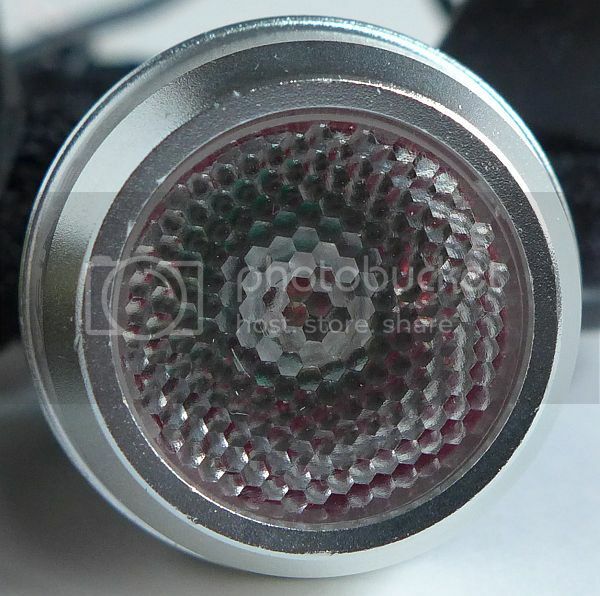 The honeycomb lens acts to diffuse the light from the red LED giving a wide range of visibility. Each half of the power switch controls either the front or rear light. Once either light is activated the switch lights up. If the battery has a good level of charge it shows green, then as the battery gets lower, this turns blue then finally red to indicate low battery. As with all the other Xeccon bicycle lights I have tested, the Geinea I uses a custom battery pack. In this instance it is a 4x 18650 cell pack in 2S2P configuration so runs at 8.4V. This light utilises an electronic switch, so there is parasitic drain to consider. As the battery status light is no longer lit when the battery is connected, the drain is significantly lower than previous Xeccon lights, however during attempts to measure the drain, the initial power draw to power up the switch circuit has blown my ammeter so I cannot confirm a reading. The runtime graph shows the output traces for both the Geinea I and Geinea II. The Geinea I trace includes the output of both the white and red lights. Near the end of the run there are two drops in output which correspond to me moving the red light out of the integrating sphere to check the white light output level. The red beam is very intense. Rear visibility is excellent. To better see the white beam here I have turned off the rear light. The beam is a nice spread of light and is bright enough for most use. Once your speed rises above 15-20mph on unlit trails it starts to become a bit stressful, but below this speed and in street lit areas there are no concerns. That rear light really is bright! 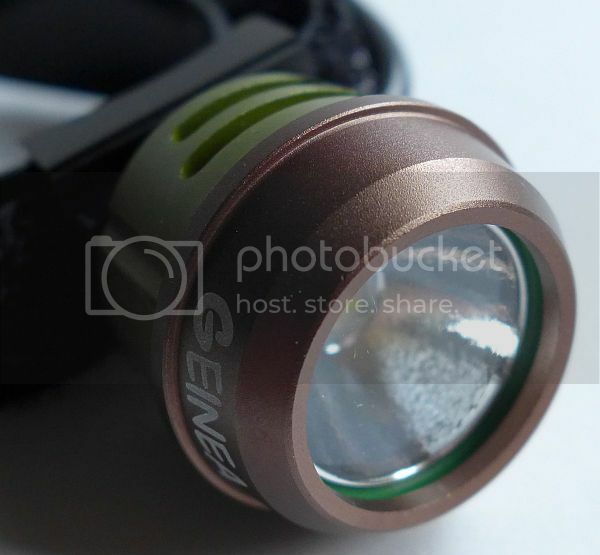 The compact size of the Geinea I lights make them virtually disappear when mounted on the bike with the switch and battery being the most obvious components. Once you get used to which half of the switch controls which light (it would be nice if there were some indication on the switch), flicking between levels is easy. Shown here with the brighter Geinea II as the front light (with the Gienea I switched on for the rear only), it is clear though how bright the switch illumination is. With the lower powered Geinea I front light, the switch appears to be far too bright and distracting. That said I suppose it could be angled away slightly to reduce this effect, but it would be better if the illumination were far less bright. Rear visibility is excellent and the slow strobe seems to be best for attention grabbing. 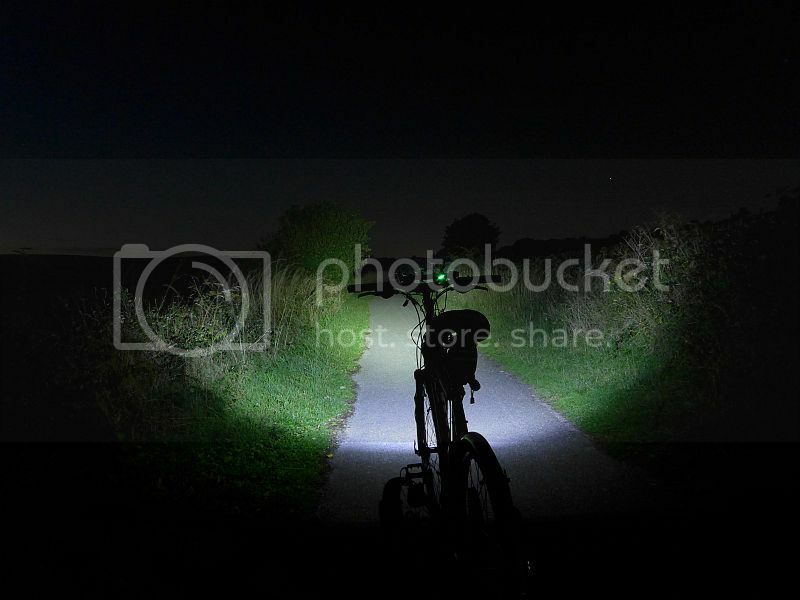 The front light strobe speed is excellent at under 3Hz and makes for a more recognizable 'cyclist here' type of lighting than other manically faster stobes. 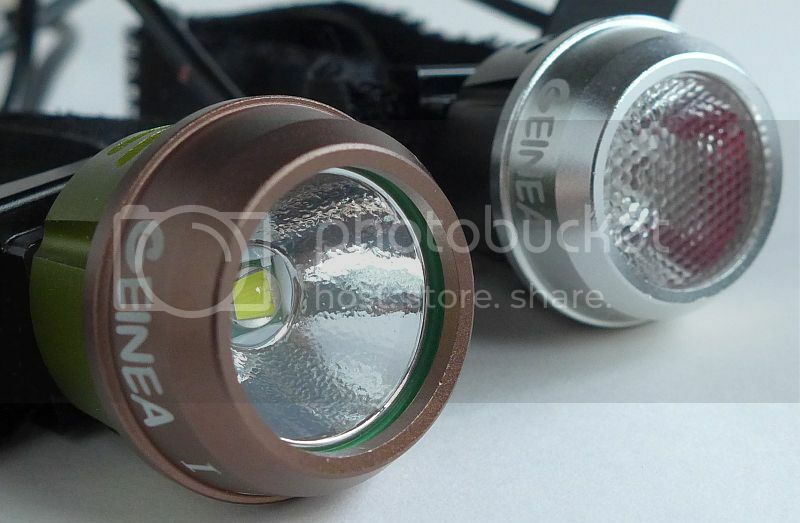 As an all-round kit the Geinea I front and rear light set is an excellent complete lighting kit. Its power limits the speed you can comfortably ride on unlit trails, but in general use is very good. 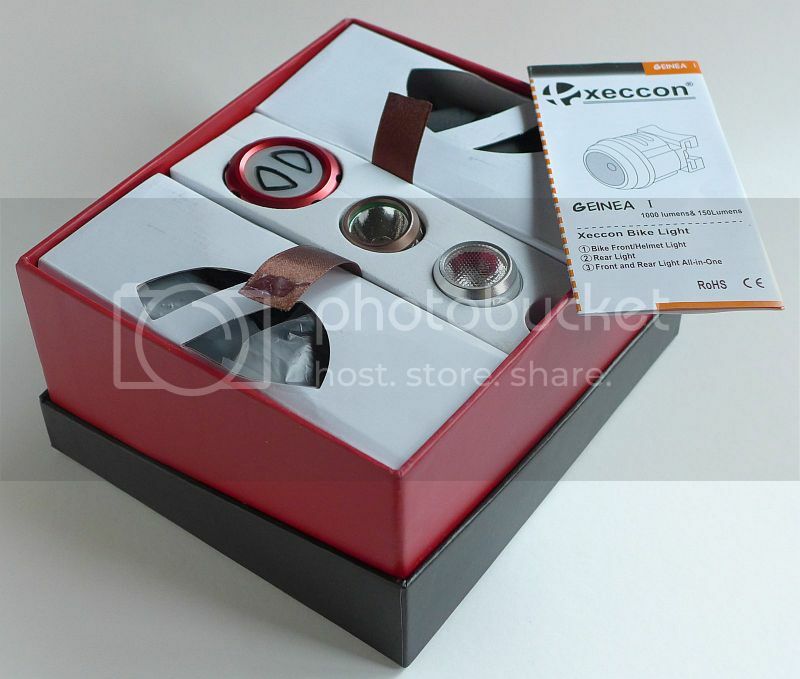 Test sample provided by Xeccon for review as part of the Global Lighting Exposure.